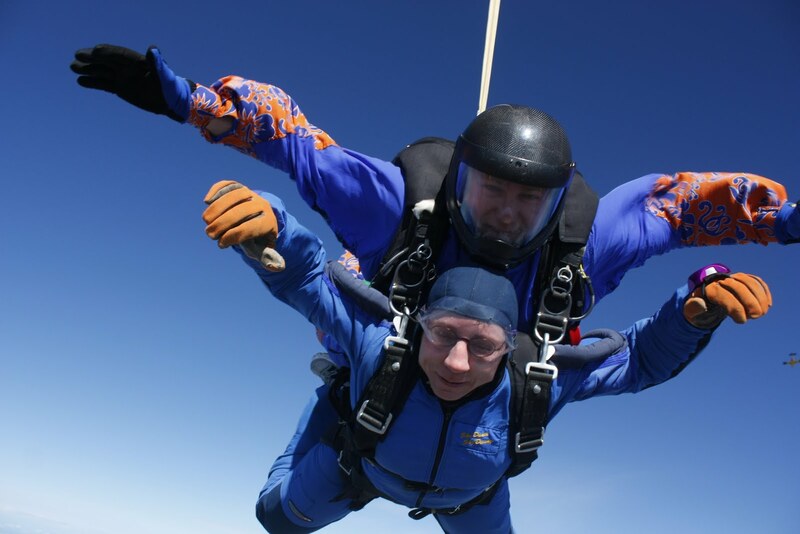 Like Spike: WOW, What a Rush!!!!!! 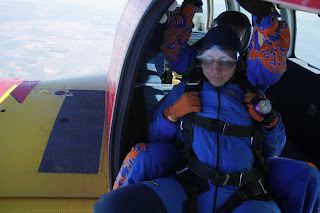 Today I had the opportunity to go sky diving! 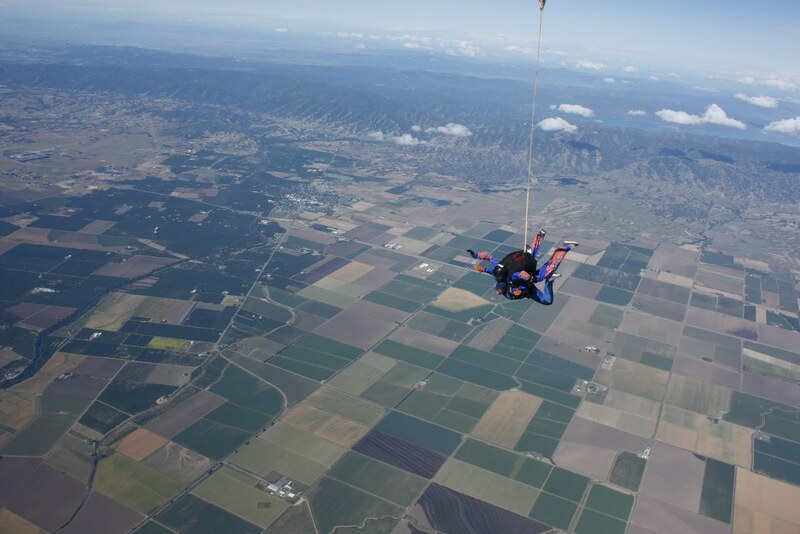 I have wanted to go for a while, and finally decided to just do it. I arrived a little before 8:00 and signed in. We had about 45 minutes of instruction. We then went to the equipment room, I met my instructor, got suited up and went through some one-on-one instruction with my instructor. From there, we went out and got on the plane. 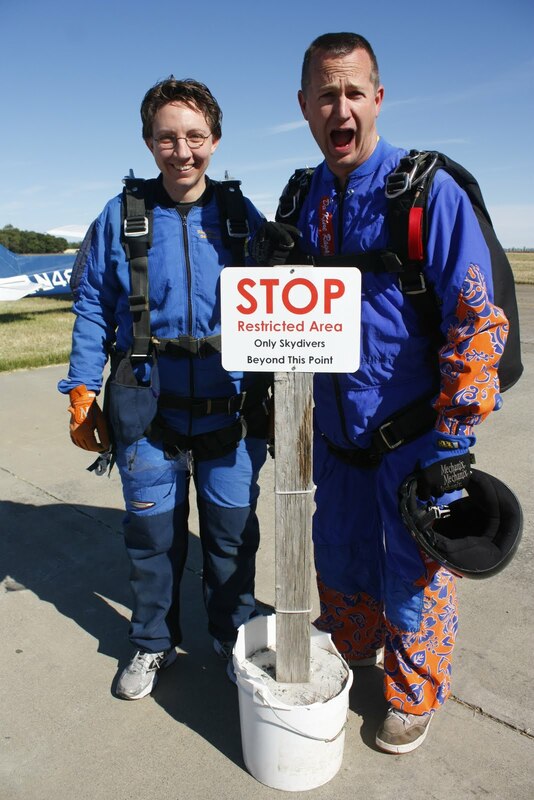 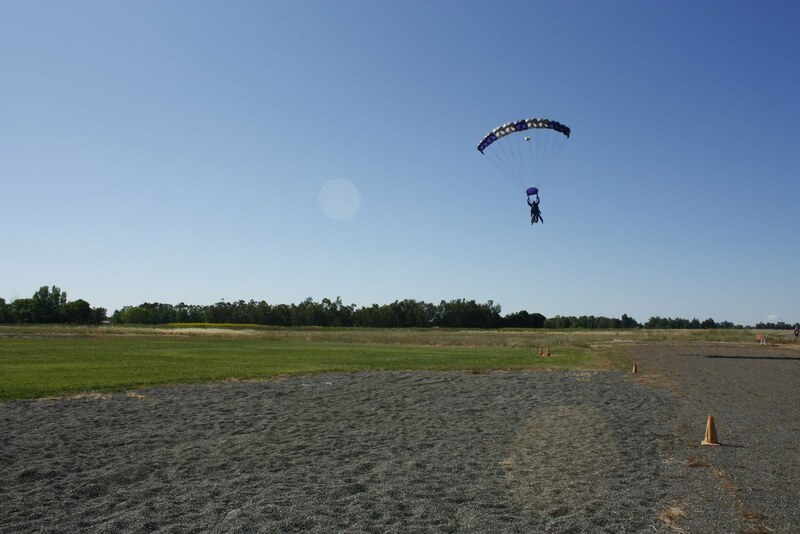 My instructor and I got on first (because we were jumping last). 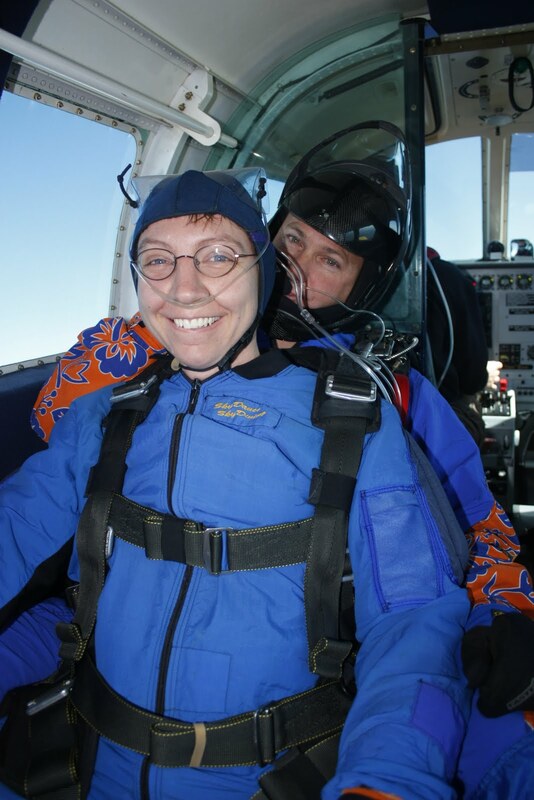 Everyone else on the plane jumped out at 13,000feet. 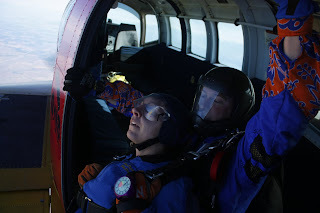 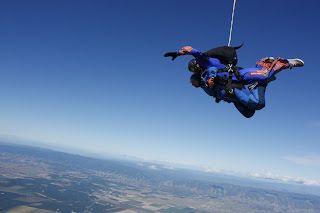 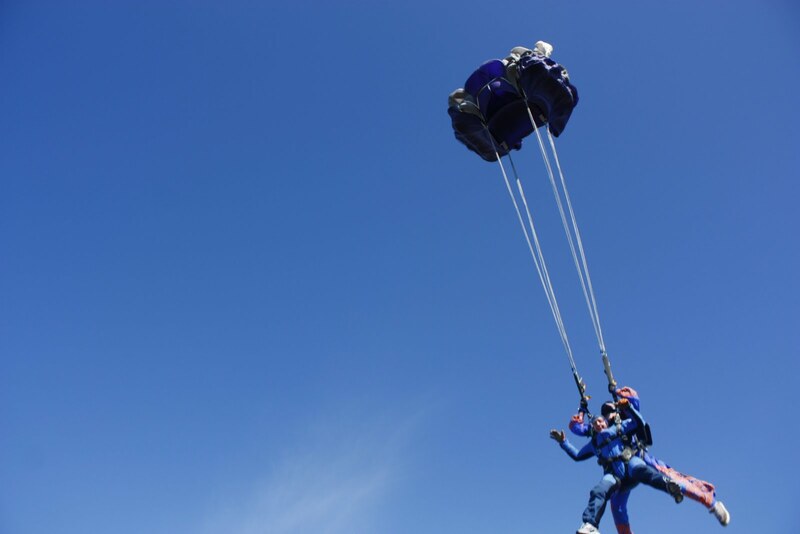 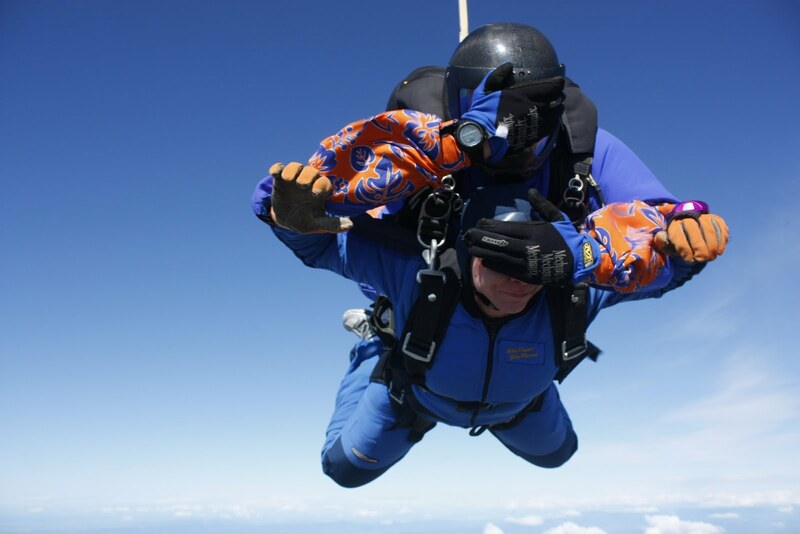 I chose the package to jump at 18,000 feet, so they jumped first, we closed the door and went up to our height then jumped. From that height, we had 90 seconds of free-fall. 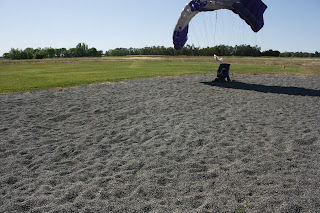 Then we opened the chute (I got to pull the cord). 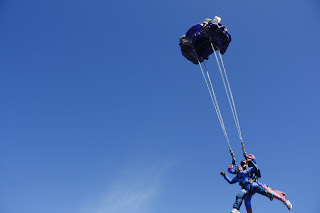 My instructor asked if I wanted the scenic view or the roller coaster ride. I said some of both, so he spun us around a little, then we had a nice easy decent the rest of the way down. 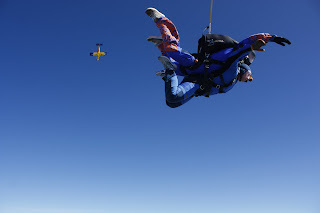 It was SO much fun!!! I have a DVD, but am not able to post it, so the next few times I am around family, I will take it with me and show it to those who want to see it! 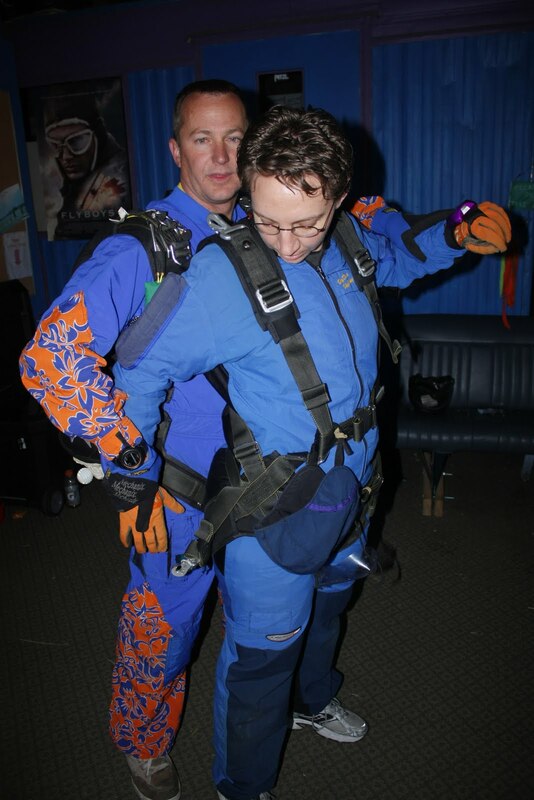 On our way to the plane. 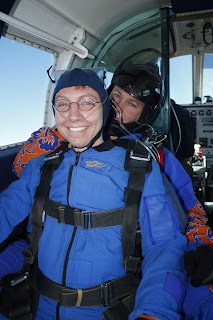 Because of the height we jumped from, we used oxygen for a little bit in the plane. 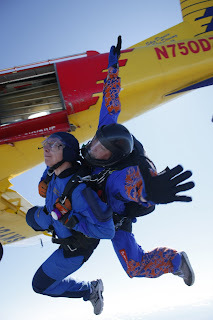 I liked this picture with the airplane that we jumped out of in the back-ground. 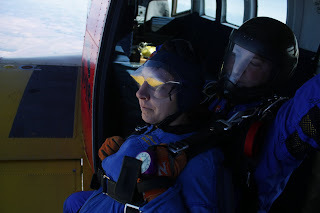 Close-up of my instructor and I.
Safely back on the ground! 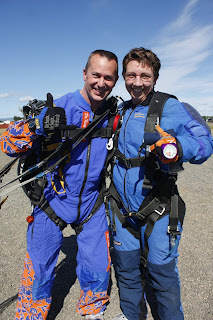 My instructor and I after our jump.